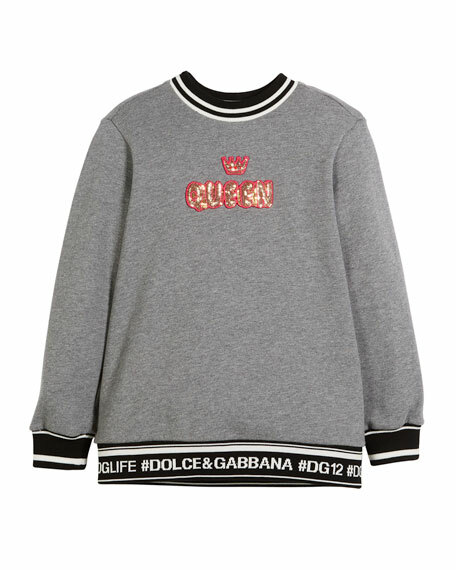 Dolce & Gabbana fleece sweatshirt with logo intarsia striped tape trim. "Queen" and crown embroidered sequin front. 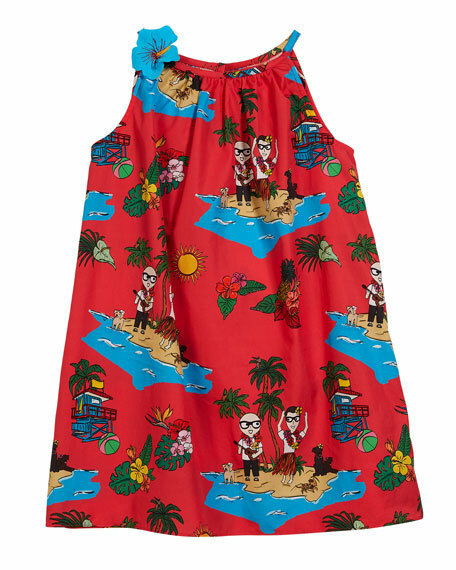 Dolce & Gabbana dress in allover beach pattern. 3D flower at right neck. Shirred bateau neckline. Sleeveless. Keyhole-button back. A-line silhouette. Cotton. Made in Italy. Dolce & Gabbana dress in floral pattern. Square neckline. Sleeveless. Box pleated waist. Hidden back zip. A-line silhouette. 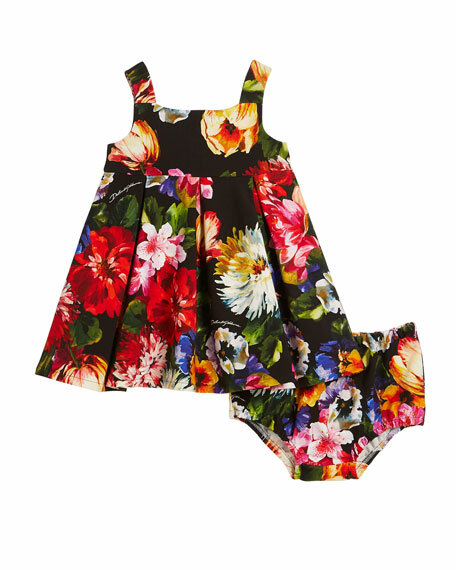 Includes matching bloomers. Dress and bloomers: cotton/spandex. Lining: cotton. Made in Italy. 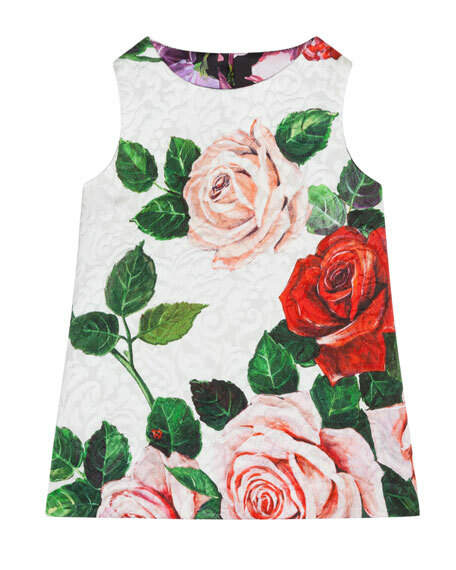 Dolce & Gabbana dress in floral jacquard. Crew neckline. Sleeveless. Hidden back zip. A-line silhouette. 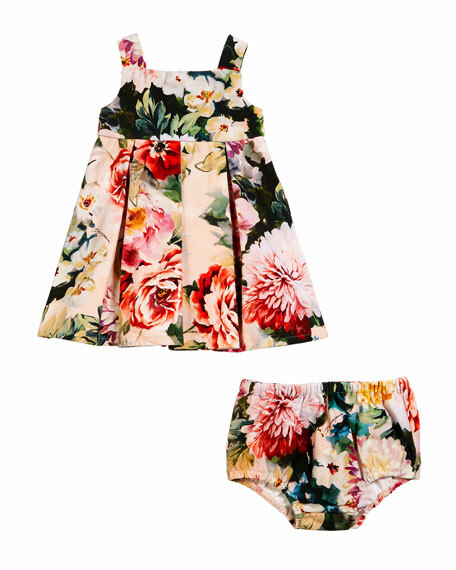 Includes matching bloomers. Outer: viscose/cotton. Lining and bloomers: viscose. Made in Italy. Dolce & Gabbana interlock knit dress in floral print. Square neckline. Sleeveless. Box pleated waist. A-line silhouette. Hidden back zip. Includes matching bloomers. Cotton/spandex. Made in Italy.